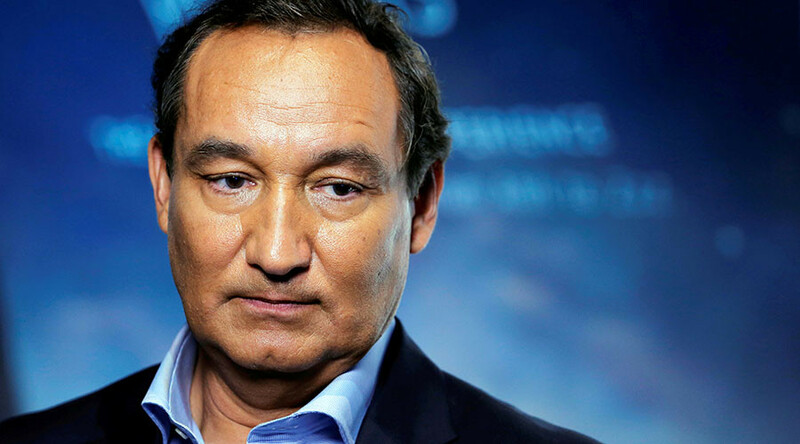 United Airlines CEO Oscar Munoz has said he will not resign despite ongoing controversy over how he and his company handled the forced removal of one of its customers from a US flight. The aviation boss continued his attempt to claw the airline back from the edge of a PR abyss by appearing on ‘Good Morning America’ on Wednesday, insisting “this will never happen again on a United Airlines flight”. Munoz reiterated his apologies to the passenger, who was brutally dragged from his seat when he refused to voluntarily vacate the overbooked flight, and expressed his “shame” over how the incident was handled. “That shame and embarrassment was pretty palpable for me and for a lot of our family,” said Munoz, who initially described passenger David Dao in a leaked email to staff as “disruptive and belligerent”. On Tuesday United Airlines’ stock shares plummeted in the wake of the damning footage, though prices recovered before trading closed. Many online questioned United’s PR capabilities in the wake of a scandal that went from bad to worse with each passing tweet and statement. Eagle-eye social media users have been sharing a screengrab of a Public Relations Manager recruitment ad to work in United’s Houston hub. The listing, which says it was posted online Monday, specifies that it’s directed towards the company’s Houston operations and “destinations United services to Latin America”. The airline has been widely mocked and trolled since footage emerged of the incident Sunday. The federal law allowing airlines to overbook flights and remove boarded, paying passengers has been called into question, and United has updated its policy to disallow law enforcement officers from unloading overbooked passengers.